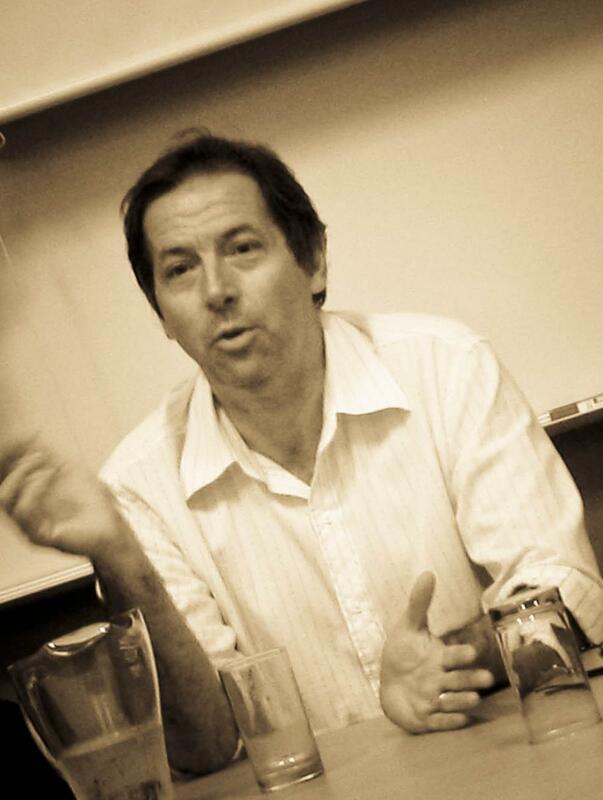 Professor John Quiggin was recently awarded his second ARC Federation Fellowship (2008-2012) for his project examining "Climate Change: Adaptation and Resilence in the face of uncertainty". Prof. Quiggin is also the Director of the Risk and Sustainable Management Group within the School of Economics. In 2004 Prof. Quiggin was award a Citation Laureate by Thompson ISI ,which recognises the significant publication profile that he has developed over his career. Since the award of his PhD, Prof. Quiggin has compiled over 200 journal articles and 600 other publications including conference proceedings, policy journal papers and newspaper articles. This research output has lead to the accumulation of over 1600 unique citations on ISI Web of Science. Furthermore, in 2004 the Economics Bulletin ranked economists within teaching departments in Australia, with John as the top ranked economist in Australia (see journal paper). Quiggin, J. and Anderson, J. (1979), ‘Stabilisation and risk reduction in Australian agriculture’, Australian Journal of Agricultural Economics 23(3), 191–206. Quiggin, J. (1980), ‘A note on economies of scale, commodity disaggregation and the cost of protection’, Australian Economic Papers 19, 375–9. Quiggin, J. and Anderson, J. (1981), ‘Price bands and buffer funds’, Economic Record 57(156), 67–73. Quiggin, J. (1981), ‘Risk perception and risk aversion among Australian farmers’, Australian Journal of Agricultural Economics 25(2), 160–9. Robinson, C., McMahon, P. and Quiggin, J. (1982), ‘Labour supply and off-farm work by farm operators: theory and estimation’, Australian Journal of Agricultural Economics 26(1), 23–38. Vlastuin, C., Lawrence, D. and Quiggin, J. (1982), ‘Size economies in Australian agriculture’, Review of Marketing and Agricultural Economics 50(1), 1–32. Quiggin, J. (1982), ‘A note on the existence of a competitive optimum’, Economic Record 55(161), 174–6. Quiggin, J. (1983), ‘Wool price stabilisation and profit risk for wool users’, Australian Journal of Agricultural Economics 27(1), 31–43. Quiggin, J. (1983), ‘Underwriting agricultural commodity prices’, Australian Journal of Agricultural Economics 27(3), 200–11. Quiggin, J. and Bui-Lan, A. (1984), ‘The use of cross-sectional estimates of profit functions for tests of relative efficiency: a critical review’, Australian Journal of Agricultural Economics 28(1), 44–55. Watts, G. and Quiggin, J. (1984), ‘A note on the use of logarithmic time trends’, Review of Marketing and Agricultural Economics 52(2), 91–9. Quiggin, J. (1985), ‘Subjective utility, anticipated utility,and the Allais paradox’, Organizational Behavior and Human Performance 35(1), 94–101. Vanzetti, D. and Quiggin, J. (1985), ‘A comparative analysis of agricultural tractor investment models’, Australian Journal of Agricultural Economics 29(2), 122–41. Quiggin, J. (1986), ‘A note on the viability of rainfall insurance’, Australian Journal of Agricultural Economics 30(1), 63–9. Quiggin, J., Gargett, D. and Barrett., G. (1986), ‘Exits from the Australian dairy industry: causes and predictions’, Journal of Agricultural Economics 37(2), 233–42. Quiggin, J. (1986), ‘Common property, private property and regulation: the case of dryland salinity’, Australian Journal of Agricultural Economics 30(2–3), 103–117. Quiggin, J. (1987), ‘Egoistic rationality and public choice: a critical review of theory and evidence’, Economic Record 63(180), 10–21. Quiggin, J. (1987), ‘Decision weights in anticipated utility theory: response to Segal’, Journal of Economic Behavior and Organization 8(4), 641–5. Quiggin, J. (1988), ‘Scattered landholdings in common property systems’, Journal of Economic Behavior and Organization 9(2), 187–201. Quiggin, J. (1988), ‘Murray River salinity — an illustrative model’, American Journal of Agricultural Economics 70(3), 635–45. Quiggin, J. (1988), ‘Private and common property rights in the economics of the environment’, Journal of Economic Issues 22(4), 1071–87. Quiggin, J. (1989), ‘Sure things — dominance and independence rules for choice under uncertainty’, Annals of Operations Research 19, 335–57. Quiggin, J. (1989), ‘Stochastic dominance in regret theory’, Review of Economic Studies 57(2), 503–11. Quiggin, J. (1990), ‘Peak-load pricing and on-farm storage in the Australian grain handling system’, Australian Journal of Agricultural Economics 34(3), 263–80. Quiggin, J. (1991), ‘Murray river salinity mitigation — engineering and management approaches’, Review of Marketing and Agricultural Economics 61(1), 1–25. Quiggin, J. (1991), ‘On the optimal design of lotteries’, Economica 58(1), 1–16. Quiggin, J. (1991), ‘Supply response under proportional profits taxation’, American Journal of Agricultural Economics 73(1), 36–39. Leathers, H. and Quiggin, J. (1991), ‘Interactions between agricultural and resource policy: the importance of attitudes towards risk’, American Journal of Agricultural Economics 73(3), 757–64. Quiggin, J. (1991), ‘Contradictory predictions on supply response under stabilization: a reconciliation’, Australian Journal of Agricultural Economics 35(3), 285–294. Quiggin, J. (1991), ‘Comparative statics for Rank-Dependent Expected Utility theory’, Journal of Risk and Uncertainty 4(4), 339–50. Quiggin, J. (1991), ‘Too many proposals pass the benefit–cost test: comment’, American Economic Review 81(5), 1446–9. Quiggin, J. (1992), ‘Efficient sets with and without the expected utility hypothesis: a generalization’, Journal of Mathematical Economics 21, 395–99. Quiggin, J. (1992), ‘Some observations on insurance, bankruptcy and input demand’, Journal of Economic Behavior and Organization 18(1), 101–10. Quiggin, J. (1992), ‘Testing the implications of the Olson hypothesis’, Economica 59(1), 261–77. Quiggin, J. (1992), ‘Invariance of the efficient set: comment’, Journal of Economic Behavior and Organization. 19(1), 119–21. Quiggin, J. (1992), ‘Risk, self-protection and ex ante economic value — some positive results’, Journal of Environmental Economics and Management 23(1), 40–53. Quiggin, J. (1992), ‘Free lunches in the case for privatisation and deregulation’, Economic Analysis and Policy 22(1), 67–84. Blarel, B., Hazell, P., Place, F. and Quiggin , J. (1992), ‘The economics of farm fragmentation: evidence from Ghana and Rwanda’, World Bank Economic Review 6(2), 233–54. Quiggin, J. (1992), ‘How to set catch quotas: a note on the superiority of constant effort rules’, Journal of Environmental Economics and Management 22(2), 199–203. Kelsey, D. and Quiggin, J. (1992), ‘Theories of choice under ignorance and uncertainty’, Journal of Economic Surveys 6(2), 133–53. Quiggin, J. (1992), ‘The pioneer’s curse: selection bias and agricultural land degradation’, Journal of Risk and Uncertainty 5(3), 241–6. Quiggin, J. (1993), ‘Discounting and sustainability’, Review of Marketing and Agricultural Economics 6(1), 161–64. Dowrick, S. and Quiggin, J. (1993), ‘Australia, Japan and the OECD: international GDP rankings and revealed preference’, Australian Economic Review (1st quarter), 21–34. Quiggin, J. (1993), ‘Testing between alternative models of choice under uncertainty – comment’, Journal of Risk and Uncertainty 6(2), 161–4. Quiggin, J., Karagiannis, G. and Stanton, J. (1993), ‘Crop insurance and crop production : an empirical study of moral hazard and adverse selection’, Australian Journal of Agricultural Economics 37(2), 95–113. Quiggin, J. (1993), ‘A policy program for full employment’, Australian Economic Review (2), 41–47. Quiggin, J. (1993), ‘Taxation when borrowing is costly’, Economic Record 69(207), 416–27. Ormiston, M. and Quiggin, J. (1993), ‘Two-parameter decision models and rank-dependent expected utility’, Journal of Risk and Insurance 7(3), 273–82. Quiggin, J. (1993), ‘Common property, equality and development’, World Development 21(7), 1123–38. Quiggin, J. (1994), ‘The fiscal gains from contracting out: Transfers or efficiency improvements?’, Australian Economic Review September, 97–102. Grant, S. and Quiggin, J. (1994), ‘Nash equilibrium with markup-pricing oligopolists’, Economics Letters 45, 245–51. Dowrick, S. and Quiggin, J. (1994), ‘International comparisons of living standards and tastes: a revealed-preference analysis’, American Economic Review 84(1), 332–41. Quiggin, J. (1994), ‘The White Paper and after: policies for full employment’, Just Policy 1(1), 27–38. Quiggin, J. (1994), ‘Regret theory with general choice sets’, Journal of Risk and Uncertainty 8(2), 153–65. Quiggin, J., Fisher, B. and Peterson, D. (1994), ‘Cost pooling in Australian grain handling: a common property analysis’, American Journal of Agricultural Economics 76(2), 262–9. Quiggin, J. and Wakker, P. (1994), ‘The axiomatic basis of anticipated utility: a clarification’, Journal of Economic Theory 64(2), 486–99. Cameron, T. A. and Quiggin, J. (1994), ‘Estimation using contingent valuation data from a "Dichotomous choice with follow-up" questionnaire’, Journal of Environmental Economics and Management 27(3), 218–34. Kennedy, J., Quiggin, J. and Hardaker, B. (1994), ‘Incorporating risk-aversion into dynamic programming models: comment’, American Journal of Agricultural Economics 76(4), 960–4. Quiggin, J. (1995), ‘The suboptimality of efficiency’, Economics Letters 47, 389–92. Quiggin, J. (1995), ‘Common property in agricultural production’, Journal of Economic Behavior and Organization 26(1), 179–200. Quiggin, J. and Horowitz, J. (1995), ‘Time and risk’, Journal of Risk and Uncertainty 10(1), 37–55. Biglaiser, G., Horowitz, J. and Quiggin, J. (1995), ‘Dynamic pollution regulation’, Journal of Regulatory Economics 8(1), 33–44. Quiggin, J. (1995), ‘Economic choice in generalized expected utility theory’, Theory and Decision 38(1), 153–71. Quiggin, J. (1995), ‘Does privatisation pay ?’, Australian Economic Review 95(2), 23–42. Quiggin, J. (1995), ‘Does privatisation pay — A reply to Domberger’, Australian Economic Review 95(2), 48–49. Blamey, R., Common, M. and Quiggin, J. (1995), ‘Respondents to contingent valuation surveys: consumers or citizens ?’, Australian Journal of Agricultural Economics 39(1), 263–88. Blamey, R. K., Common, M. S. and Quiggin, J. (1996), ‘Respondents to contingent valuation surveys: consumers or citizens ? Reply to comment by Rolfe and Bennett’, Australian Journal of Agricultural Economics 40(2), 135–8. Chambers, R. G. and Quiggin, J. (1996), ‘Nonpoint pollution control as a multi-task principal–agent problem’, Journal of Public Economics 59(1),95–116. Grant, S. and Quiggin, J. (1996), ‘Capital precommitment and competition in supply schedules’, Journal of Industrial Economics 44(4), 427–41. Quiggin, J. (1996), ‘Competitive tendering and contracting in Australia’, Australian Journal of Public Administration 55(3), 49–58. Quiggin, J. (1996), ‘Private investment in public infrastructure projects’, Australian Economic Review 96(1), 51–64. Bleichrodt, H. and Quiggin, J. (1997), ‘Characterising QALYs under a general rank dependent utility model’, Journal of Risk and Uncertainty 15(2), 151–60. Chambers, R. G. and Quiggin, J. (1997), ‘Separation and hedging results with state-contingent production’, Economica 64(254), 187–210. Dowrick, S. and Quiggin, J. (1997), ‘True measures of GDP and convergence’, American Economic Review 67(1), 41–64. Grant, S. and Quiggin, J. (1997), ‘Strategic trade under uncertainty: sufficient conditions for the optimality of specific, ad valorem, specific and quadratic trade taxes ’, International Economic Review 38(1), 187–203. Quiggin, J. (1997), ‘Discount rates and sustainability’, International Journal of Social Economics 24(1), 65–90. Quiggin, J. (1997), ‘Efficiency versus social optimality: the case of utility pricing’, Information Economics and Policy 9, 291–308. Quiggin, J. (1997), ‘Estimating the benefits of Hilmer and related reforms’, Australian Economic Review 30(3), 256–72. Quiggin, J. (1997), ‘Evaluating airline deregulation in Australia’, Australian Economic Review 30(1), 45–56. Quiggin, J. (1997), ‘The equity premium and the government cost of capital: a response to Neville Hathaway’, Agenda 4(4), 475–85. Quiggin, J. (1997), ‘Altruism, total valuation and benefit–cost analysis’, Australian Economic Papers 36 (68), 144–155. Cameron, T. A. and Quiggin, J. (1998), ‘Estimation using contingent valuation data from a "Dichotomous Choice with Follow-Up" questionnaire: Reply’, Journal of Environmental Economics and Management 35(2), 195–7. Chambers, R. G. and Quiggin, J. (1998), ‘Cost functions and duality for stochastic technologies’, American Journal of Agricultural Economics 80(May), 288–95. Dowrick, S., Dunlop, Y. and Quiggin, J. (1998), ‘The cost of life expectancy and the implicit social valuation of life’, Scandinavian Journal of Economics 100(4), 673–91. Grant, S. and Quiggin, J. (1998), ‘Salience and the meeting place problem’, Journal of Economic Behavior and Organization , 33, 271–83. Quiggin, J. (1998), ‘Individual and household willingness to pay for public goods’, American Journal of Agricultural Economics 80(1), 58–63. Quiggin, J. (1998), ‘Micro gains from micro reform’, Economic Analysis & Policy 28(1), 1–16. Quiggin, J. (1998), ‘Social democracy and market reform in Australia and New Zealand’, Oxford Review of Economic Policy 14(1), 76–95. Quiggin, J. (1998), ‘Existence value and the contingent valuation method’, Australian Economic Papers 37(3), 312–29. Quiggin, J. (1998), ‘The premature burial of natural monopoly: telecommunications reform in Australia’, Agenda 5(4), 427–440. Quiggin, J. and Chambers, R. G. (1998), ‘A state-contingent production approach to principal-agent problems with an application to point-source pollution control’, Journal of Public Economics 70, 441–72..
Quiggin, J. and Chambers, R. G. (1998), ‘Risk premiums and benefit measures for generalized expected utility theories’, Journal of Risk and Uncertainty 17(2), 121–37. Bleichrodt, H. and Quiggin, J. (1999), ‘Life cycle preferences over consumption and health: when is cost-effectiveness analysis equivalent to cost–benefit analysis?’, Journal of Health Economics 18, 681–708. Fraser, L. and Quiggin, J. (1999), ‘Competitive tendering and service quality’, Just Policy 17, 53–7. Horowitz, J., McConnell, K. and Quiggin, J. (1999), ‘A test of competing explanations of compensation demanded ’, Economic Inquiry 37(4), 637–46. Just, R., Calvin, L., and Quiggin, J. (1999), ‘Adverse selection in crop insurance: actuarial and asymmetric information incentives’, American Journal of Agricultural Economics 81(November), 834–49. Quiggin, J. (1999), ‘Globalisation, neoliberalism and inequality in Australia’, The Economic and Labour Relations Review 10(2), 240–59. Quiggin, J. (1999), ‘Human capital theory and education policy in Australia’, Australian Economic Review 32(2), 130–44. Quiggin, J. (1999), ‘The premature burial of natural monopoly: Rejoinder’, Agenda 6(1), 47–50. Quiggin, J. (1999), ‘The future of government: mixed economy or minimal state?’, Australian Journal of Public Administration 58(4), 39–53. Quiggin, J. and Horowitz, J. (1999), ‘The impact of global warming on agriculture: a Ricardian analysis: comment’, American Economic Review 89(4), 1044–45. Grant, S. and Quiggin, J. (2000), The interaction between the equity premium and the risk-free rate, Economic Letters 69, 71–79. Quiggin, J. (2000), Unemployment: Still hoping for a miracle?, International Journal of Manpower 21(5), 374–83. Quiggin, J. (2001), ‘Globalization and economic sovereignty’, Journal of Political Philosophy 9(1), 56–80. Quiggin, J. and Chambers, R. G. (2001), The firm under uncertainty with general risk-averse preferences: a state-contingent approach, Journal of Risk and Uncertainty, 22(1), 5–20. Chambers, R. G. and Quiggin, J. (2001), Decomposing input adjustments under price and production uncertainty, American Journal of Agricultural Economics, 83(1), 20-34. Chapman, B., Jordan, J., Oliver, K., and Quiggin, J. (2001), ‘Unemployment traps and age-earnings profiles: estimates for Australia 2000’, Australian Journal of Labour Economics forthcoming. Quiggin, J. (2001), ‘Environmental economics and the Murray–Darling river system’, Australian Journal of Agricultural and Resource Economics 45(1), 67–94. Quiggin, J. (2001), ‘Economic solubility of the agency problem’, Economics Bulletin http://www.economicsbulletin.com/2001/volume3/EB-01C70001A.pdf. Quiggin, J. (2001), ‘Valuing publicly- provided services’, Economic Record, 77(238), 291–304..
Quiggin, J. (2001), ‘Market-oriented reform in the Australian electricity industry’, Economic and Labour Relations Review, 12 (1), 126–50. Mallawaarachchi, T. and Quiggin, J. (2001), ‘Modelling socially optimal land allocations for sugar cane growing in North Queensland: integrating mathematical programming and Choice Modelling’, Australian Journal of Agricultural and Resource Economics, 45(3), 411–36. Quiggin, J. (2001), ‘Demography and the New Economy’, Journal of Population Research 18(2), 177–193. Quiggin, J. (2001), ‘The Australian productivity ‘miracle’: a sceptical view’, Agenda ,8(4),333-348. Quiggin, J. (2001), ‘Defence policy: One clear objective’, 73(6), 15–21. Quiggin, J. (2001), ‘Active labour market policy as an automatic stabilizer’, The Drawing Board 2(2), http://www.econ.usyd.edu.au/drawingboard/journal/0111/quiggin.pdf..
Quiggin, J. (2001), ‘Production under uncertainty and choice under uncertainty in the emergence of generalized expected utility theory’, Theory and Decision 51, 125–44. Bleichrodt, H. and Quiggin, J. (2002), ‘Life cycle preferences over consumption and health: a reply to Klose’, Journal of Health Economics 21(1), 167–8. Chambers, R. G. and Quiggin, J. (2002), ‘The state-contingent properties of stochastic production functions’, American Journal of Agricultural Economics 84, 513–26.. Chambers, R. G. and Quiggin, J. (2002), ‘Optimal producer behavior in the presence of area-yield crop insurance’, American Journal of Agricultural Economics, 84, 320–34. Grant, S. and Quiggin, J. (2002), ‘The risk premium for equity: implications for the proposed diversification of the social security fund’, American Economic Review, 92(5), 1104–15. Quiggin, J. (2002), ‘Risk and self-protection: a state-contingent view ’, Journal of Risk and Uncertainty 25(2), 133–45..
Quiggin, J. (2002), Social capital and public expenditure in Australia, NSW Public Health Journal, 13 (6), 131–33. Quiggin, J. (2002), Contracting out: promise and performance, Economic and Labour Relations Review, 13(1), 88–204. Quiggin, J. (2002), ‘Environmental economics and the Murray–Darling river system: reply’, Australian Journal of Agricultural and Resource Economics 46(4), 627–28. Quiggin, J. (2002), ‘The fiscal impact of the privatisation of the Victorian electricity industry’, Economic and Labour Relations Review 13(2), 326–339. Quiggin, J. (2002), ‘Privatisation and nationalisation in the 21st century’, Growth 50, 66–73. Chambers, R. G. and Quiggin, J. (2003), ‘Price stabilization and the risk-averse firm’, American Journal of Agricultural Economics 85(2), 336–47. Chambers, R. G. and Quiggin, J. (2003), Indirect certainty equivalents for the firm under price and production uncertainty, Economics Letters, 78(3), 309–316. Dowrick, S., Dunlop, Y. and Quiggin, J. (2003), ‘Social indicators and comparisons of living standards: a revealed preference analysis’, Journal of Development Economics 70(2), 505–29. Grant, S. and Quiggin, J. (2003), ‘Public investment and the risk premium for equity’, Economica, 70(February), 1–18. Quiggin, J. and Horowitz, J. (2003), Global warming: Dynamic and comparative static analyses, Australian Journal of Agricultural and Resource Economics, 47(4), 429–46. Quiggin, J. (2003), Background risk in generalized expected utility theory, Economic Theory, 22, 607–11. Quiggin, J. and Chambers, R. G. (2003), Local utility functions and local probability transformations, Journal of Risk and Uncertainty, 27(2), 110–20. Gans, J. S. and Quiggin, J. (2003), A technological and organizational explanation for the size distribution of firms, Journal of Small Business Economics, 21(4), 243–256,. Bleichrodt, H., Diecidue, E. and Quiggin, J. (2004), ‘Equity weights in the allocation of health care: the rank-dependent QALY model’, Journal of Health Economics, 23(1), 157–71. Chambers, R.G., Fare, R. and Quiggin, J. (2004), ‘Jointly radial and translation homothetic preferences: generalized constant risk aversion’, Economic Theory, 23(3), 689–99. Chambers, R.G. and Quiggin, J. (2004), ‘Incentives and standards in agency contracts’, Journal of Public Economic Theory, 7(2), 201-228. Chambers, R.G. and Quiggin, J. (2004), ‘Technological and financial approaches to risk management in agriculture: an integrated approach’, Australian Journal of Agricultural and Resource Economics, 48(2), 199–223. Chapman, B, Freiburg, A., Quiggin, J. and Tait, D. (2004), ‘Using the tax system to collect fines’, Australian Journal of Public Administration, 63(3), 20–32. Grant, S. and Quiggin, J. (2004), ‘Noise trader risk and the welfare effects of privatization’, Economics Bulletin, 5(9), 1–8. Quiggin, J. (2004), ‘Risk, PPPs and the Public Sector Comparator’, Australian Accounting Review, 14(2), 51–62. Quiggin, J. and Chambers, R.G. (2004), ‘Invariant risk attitudes’, Journal of Economic Theory, 117(1), 96–118. Quiggin, J. and Chambers, R.G. (2004), ‘Drought policy: a graphical analysis’, Australian Journal of Agricultural and Resource Economics, 48(2), 225–51. Tan, P.-L. and Quiggin, J. (2004), ‘Sustainable management of the Great Artesian Basin: an analysis based on law and environmental economics’, The Australasian Journal of Natural Resources Law and Policy, 9(2), 255–303. Chambers, R.G. and Quiggin, J. (2005), ‘Linear-risk-tolerant, invariant risk preferences’, Economics Letters, 86(3), 303-09. Chambers, R.G. and Quiggin, J. (2005), ‘Output price subsidies in a stochastic world’, American Journal of Agricultural Economics, 87(2), 501–08. Grant, S. and Quiggin, J. (2005), ‘Increasing uncertainty: a definition’, Mathematical Social Sciences, 49(2), 117–41. Quiggin, J. (2005), ‘The oil shock of 2005’, Australian Review of Public Affairs, 6(1), http://www.australianreview.net/digest/2005/11/quiggin.html. Quiggin, J. (2005), ‘Quiggin responds to "neither borrower nor lender be" by Thomas J. Grennes’, The Economists' Voice, 2(2), Article 6. Quiggin, J. (2005), ‘Public–Private Partnerships: options for improved risk allocation’, policy forum: financing public infrastructure’, Australian Economic Review, 38(4), 445–50. Quiggin, J. (2005), ‘Pharmaceuticals and intellectual property: the US–Australia FTA’, Agenda, 12 (2), 145–58. Quiggin, J. (2005), ‘The equity premium and the socialist case for public ownership’, Imprints: Egalitarian Theory and Practice, 8(2), 112–24. Chambers Robert G. and Quiggin, J. (2005), ‘Incentives and standards in agency contracts’, Journal of Public Economic Theory, 7(2), 201–28. Grant, S. and Quiggin, J. (2005), ‘What does the equity premium mean?’, The Economists' Voice, 2(4), Article 2, http://www.bepress.com/ev/vol2/iss4/art2. Bell, S. and Quiggin, J. (2006), ‘Asset price instability and policy responses: the legacy of liberalization’, Journal of Economic Issues, XL(3), 629–49. Freebairn, J. and Quiggin, J. (2006), ‘Water rights for variable supplies’, Australian Journal of Agricultural and Resource Economics, 50(3), 295–312. Grant, S. and Quiggin, J. (2006), ‘The risk premium for equity: implications for resource allocation, welfare and policy’, Australian Economic Papers, 45(3), 253–68. Hazeldine, T. and Quiggin, J. (2006), ‘No more free beer tomorrow? Economic policy and outcomes in Australia and New Zealand since 1984’, Australian Journal of Political Science, 41(2), 145–59. Quiggin, J. (2006), ‘Public–Private partnerships: Options for improved risk allocation’, UNSW Law Journal, 29(3), 289–93. Quiggin, J. (2006), ‘Blogs, wikis and creative innovation’, International Journal of Cultural Studies, 9(4), 481-496. Quiggin, J. (2006), ‘Repurchase of renewal rights: a policy option for the National Water Initiative’, Australian Journal of Agricultural and Resource Economics, 50(3), 425–35. Quiggin, J. (2006), ‘Stories about productivity’, Australian Bulletin of Labour, 32(1), 18–26. Quiggin, J. (2006), ‘Urban water supply in Australia: the option of diverting water from irrigation’, Public Policy, 1(1), 14–22. Quiggin, J. and Chambers, R.G. (2006), ‘Capital market equilibrium with moral hazard and flexible technology’, Journal of Mathematical Economics, 42, 358–63. Quiggin, J. and Chambers, R.G. (2006), ‘Supermodularity and risk aversion’, Mathematical Social Sciences, 52, 1–14. Quiggin, J. and Chambers, R.G. (2006), ‘The state-contingent approach to production under uncertainty’, Australian Journal of Agricultural and Resource Economics, 50(2), 153–69. Racionero, M. and Quiggin, J. (2006), ‘Fixed wages and bonuses in agency contracts: The case of a continuous state space’, Journal of Public Economic Theory, 8(5), 761–77. Alauddin, M. and Quiggin, J. (2008), ‘Agricultural intensification, irrigation and the environment in South Asia: Issues and policy options’, Ecological Economics, 65(1), 111–24. Bell, S. and Quiggin, J. (2008), ‘The metagovernance of markets: The politics of water management in australia’, Environmental Politics, , 17(5), 712–29. Bell, S. and Quiggin, J. (2008), ‘Beyond stop/go? Explaining australia's long boom’, Journal of Australian Political Economy, (61), 71-87. Chambers, R.G. and Quiggin, J. (2008), ‘Comparative statics for state-contingent technologies’, Journal of Economics, 93, 203–14. Chambers, R.G. and Quiggin, J. (2008), ‘Narrowing the no-arbitrage bounds’, Journal of Mathematical Economics, 44(1), 1–14. Hunter, D. and Quiggin, J. (2008), ‘Money ruins everything’, Hastings Communications & Entertainment Law Journal, 30, 203–55. Osaki, Y. and Quiggin, J. (2008), ‘Stochastic dominance representation of optimistic belief: Theory and applications’, Economics Letters, 101, 275–78. Pezzey, J.C.V., Jotzo, F. and Quiggin, J. (2008), ‘Fiddling while carbon burns: Why climate policy needs pervasive emission pricing as well as technology promotion’, Australian Journal of Agricultural and Resource Economics, 52(1), 97–110. Quiggin, J. and Potts, J. (2008), ‘Economics of non-market innovation and digital literacy’, Media International Australia, (128), 144-50. Quiggin, J. (2008), ‘Amateur content production, networked innovation and innovation policy’, Cultural Science, 1(2), http://www.cultural-science.org/journal/index.php/culturalscience/article/view/14/52. Quiggin, J. (2008), ‘Counting the cost of climate change at an agricultural level’, CAB Reviews: Perspectives in Agriculture, Veterinary Science, Nutrition and Natural Resources, 2(092), 1–9. Quiggin, J. (2008), ‘Managing the murray–darling basin: Some implications for climate change policy’, Economic Papers, 27(2), 160–66. Quiggin, J. (2008), ‘Stern and his critics on discounting and climate change’, Climatic Change, 89(3-4), 195–205. Quiggin, J. (2008), ‘Uncertainty and climate change policy’, Economic Analysis and Policy, 38(2), 203–10. Adamson, D., Mallawaarachchi, T. and Quiggin, J. (2009), ‘Declining inflows and more frequent droughts in the Murray–Darling Basin: Climate change, impact and adaption’, Australian Journal of Agricultural and Resource Economics, 53(3), 345-366. Quiggin, J. and Chambers, R.G. (2009), ‘Bargaining power and efficiency in insurance contracts’, The Geneva Risk and Insurance Review, 34, 47-73. Chambers, R.G. and Quiggin J. (2009), 'Separability of stochastic production decisions from producer risk preferences in the presence of financial markets', Journal of Mathematical Economics, 45(11), 730-737. Menezes, F., Quiggin, J. and Wagner, L. (2009), 'Grandfathering and greenhouse: the role of compensation and adjustment assistance in the introduction of a carbon emissions trading scheme for Australia'. Economic Papers: A journal of applied economcs and policy, 28(2), 82-92. Quiggin, J. (2009), 'Six refuted doctrines'. Economic Papers: A journal of applied economics and policy, 28(3), 239-248. Quiggin, J. (2010), 'Bad politics makes bad policy: the case of Queensland's asset sales programme'. Economic Papers: a journal of applied economics and policy, 29(1), 13-22. Quiggin, J. (2010), 'Response to J.E. King's response to my article "Six Refuted Doctrines"'. Economic Papers: A journal of applied economics and policy 29(1), 40. Quiggin, J., Adamson, D., Chambers, S. and Schrobback, P. (2010), 'Climate change mitigation and adaptation: the case of the Murray-Darling Basin in Australia', Canadian Journal of Agricultural Economics, 58(4), 531-554. Quiggin, J. (2010), 'Agriculture and global climate stabilization: a public good analysis'. Agricultural "Economics 41, 121-132. Chambers, R.G., Hailu, A. and Quiggin, J. (2011), 'Event-specific data envelopment models and efficiency analysis'. Australian Journal of Agricultural and Resource Economics, 55(1) 90-106. Schrobback, P., Adamason, D. and Quiggin, J. (2011), 'Turning water into carbon: carbon sequestration and water flow in the Murray-Darling Basin'. Environmental and Resource Economics, 49(1), 23-45. Quiggin, J. (2011), 'Economic blogs'. Economic Papers: a journal of applied economics and policy, 30(4), 437-440. Quiggin, J. (2011), 'What have we learned from the global financial crisis?' Australian Economic Review, 44(4), 355-365. Grant, S., Kline, J. and Quiggin, J. (2012), 'Differential awareness, ambiguity and incomplete contracts: a model of contractual disputes'. Journal of Economic Behavior and Organization 82(2-3), 494-504. Quiggin, J. (2012), 'Equity between overlapping generations'. Journal of Pubic Economic Theory, 14(2), 273-283. Menezes, F. M. and Quiggin, J. (2012), 'More competitors or more competition? Market concentration and the intensity of competition'. Economic Letters 117(3), 712-714. Bleichrodt, H. and Quiggin, J. (2013), 'Capabilities as menus: a non-welfarist basis for QALY evaluation'. Journal of Health Economics, 32(1), 128-137. Quiggin, J. (2013), 'Response to David Colander Review Article'. International Review of Economics Education 12, 86-87. Quiggin, J. (2013). 'The state of economics in 2012: complacency amid crisis'. Economic Record, 89, 23-30. Grant, S. and Quiggin, J. (2013), ' Bounded awareness, heuristics and the precautionary principle'. Journal of Economic Behavior and Organization (in press). An exercise in risk management: on what to be scared of and what to do about it Australian Financial Review,10 September 2004. The myth of convergence: on how the rise of the internet has liberated text Australian Financial Review,13 August 2004. US hegemonic, not imperial, Australian Financial Review,31 December 2003. 'Conflict' isn't ageing well, Australian Financial Review,18 December 2003. FTA: fair deal or no deal, Australian Financial Review,4 December 2003. Reform for the small-minded, Australian Financial Review,20 November 2003. Our model constitution, Australian Financial Review,6 November 2003. Lets clear muddy waters, Australian Financial Review, 23 October 2003. Kyoto a conduit for aid, Australian Financial Review, 9 October 2003. Lots of froth about bubble, Australian Financial Review, 25 September 2003. Bush's buck won't stop, Australian Financial Review, 11 September 2003. Real jobs the real solution, Australian Financial Review, 28 August 2003. Interesting time for rates, Australian Financial Review, 14 August 2003. A risky interpretation of history: on the past, present and future of the quest for security, Australian Financial Review, 1 August 2003. Woolly thinking on Telstra, Australian Financial Review, 31 July 2003. Stuck in the comfort zone, Australian Financial Review, 17 July 2003. Putting HECS to good use, Australian Financial Review, 3 July 2003. Bush leads way on race, Australian Financial Review, 18 July 2002. Market theory unravels, Australian Financial Review, 4 July 2002. Crossed wires on Telstra Australian Financial Review, 20 June 2002. Even the old is new again Australian Financial Review, 6 June 2002. Time to earth electricity Australian Financial Review, 23 May 2002. Stick to a few principlesAustralian Financial Review, 9 May 2002. UK turns left for national health Australian Financial Review, 24 April 2002. The cost of doing nothing Australian Financial Review, 11 April 2002. Bringing bogus science to book, Australian Financial Review, 28 March 2002. Dogma fails crucial test, Australian Financial Review, 14 March 2002. Enron's Australian cousins, Australian Financial Review, 28 February 2002. Pop! There goes a trillion, Australian Financial Review, 14 February 2002. Poverty is such a rich issue, Australian Financial Review, 17 January 2002. Euro curbs herd instinct, Australian Financial Review, 17 January 2002. When pessimism paid off, Australian Financial Review, 3 January 2002. The dirty business of spy versus spy, Australian Financial Review, 21 December 2001. Reforms fail to set world alight, Australian Financial Review, 20 December 2001. Lies and statistics, Australian Financial Review, 15 December 2001. Productivity isn't working, Australian Financial Review, 6 December 2001. NZ Labour shows a way, Australian Financial Review, 22 November 2001. Regrets, we'll have a few, Australian Financial Review, 8 November 2001. Public ownership makes a comeback, Australian Financial Review, 25 October 2001. US shows required spirit ', Australian Financial Review, 4 October 2001. Free speech sits ill with a free market', Australian Financial Review, 27 September 2001. Competition policy takes a nosedive', Australian Financial Review, 14 September 2001. 'The state of welfare at home and abroad', Australian Financial Review, 14 September 2001. Using charity to cut costs', Australian Financial Review, 6 September. Who's being Liberal with labour market statistics? ', Australian Financial Review, 16 August 2001. Voters not blinded by political jousting', Australian Financial Review, 2 August 2001. Right-wing sceptics on call', Australian Financial Review, 19 July 2001. GST war won at too great a cost', Australian Financial Review, 5 July 2001. US economic bubble frees noxious gas', Australian Financial Review, 21 June 2001. Blair's Third Way is dead', Australian Financial Review, 7 June 2001. Taking stock in the branch office economy', Australian Financial Review, 1 June 2001. Labor must regain moral ground', Australian Financial Review, 24 May 2001. Conservatism lost to Libs', Australian Financial Review, 10 May 2001. No quick fix for Japan', Australian Financial Review, 26 April 2001. Wishful thinking of Walsh's true believers', Australian Financial Review, 11 April 2001. US dollar needs a pasting', Australian Financial Review, 29 March 2001. Time for the mother of all backflips', Australian Financial Review, 15 March 2001. At last, Keating era ends', Australian Financial Review, 1 March 2001. Golden age myth exposed', Australian Financial Review, 15 February 2001. An offence to the free market', Australian Financial Review, 1 February 2001. Cold call for US economy', Australian Financial Review, 18 January 2001. Hardly free marketeers', Australian Financial Review, 4 January 2001.